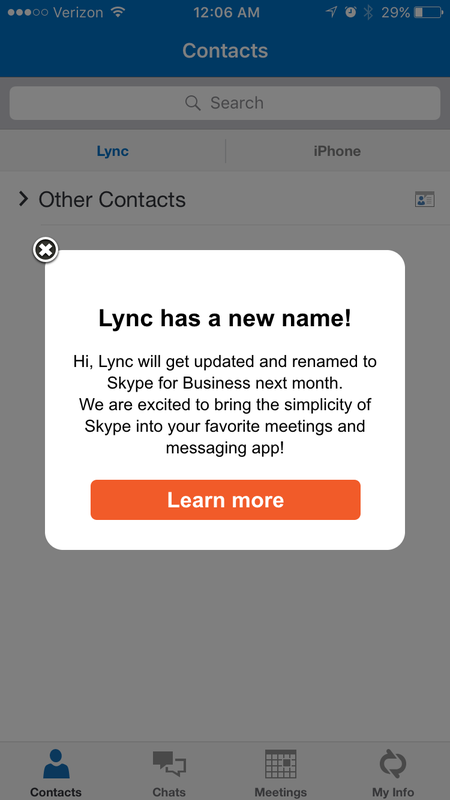 Look out all you Lync 2013 mobile app iOS users, a new updated and renamed version of the mobile app is on it’s way! 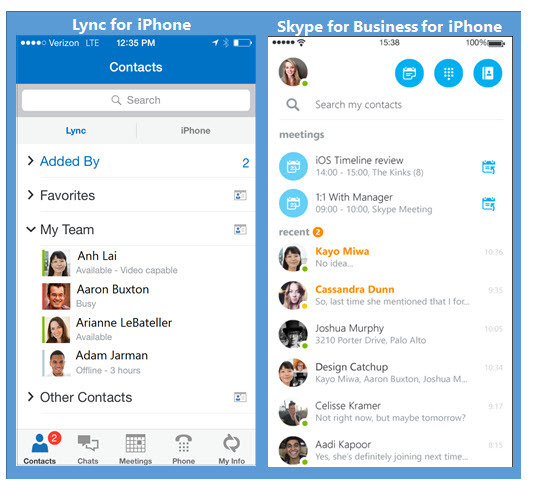 As announced earlier this year, Skype for Business for iOS was set to be released this fall. It looks like Microsoft has kept their word and the new Skype for Business iOS app is expected to be released October 2015, according to a notification received on my mobile app this evening. Skype For Business is coming! After clicking on the “Learn More” button, I was redirected to Microsoft’s support page which announces the new app and has some FAQs. Skype for Business for Windows Phone is available now and the Android version is in technical preview. Can not wait to see how the new version works compared to the somewhat buggy Lync 2013 iOS version. Here is a preview of what the new mobile app looks like!